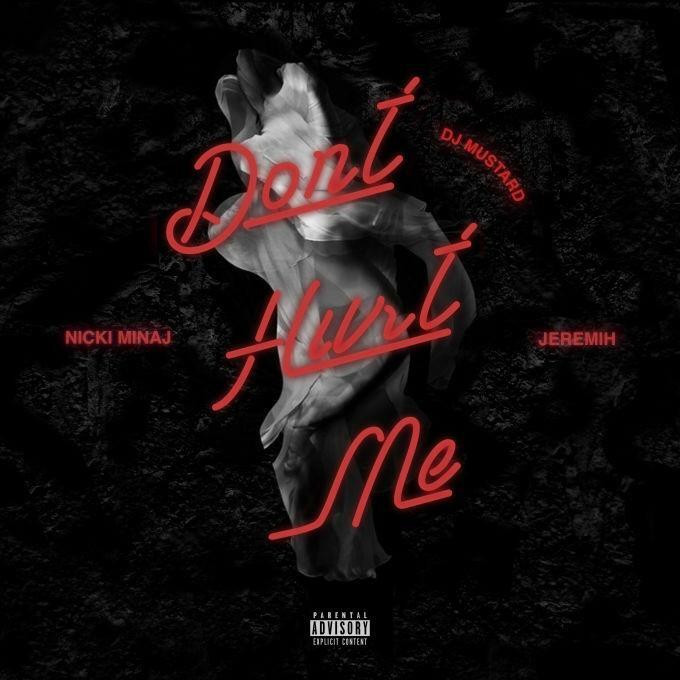 Listen to Nicki Minaj, Jeremih, and DJ Mustard's new RnBass track, "Don't Hurt Me". Nicki Minaj and Jeremih had a couple of collaborations on The Pinkprint, and they've come together once again on DJ Mustard's new single, "Don't Hurt Me". The record recaptures the clubby RnBass sounds Mustard first started exploring back around the time Tinashe's "2 On" came out, and Nicki and Mih are a perfect fit for the glossy backdrop. For the time being, the song is available exclusively on Tidal, so if you're not a subscriber, you'll only be able to hear a short preview right now. DJ Mustard's new studio album should be on its way soon. You can listen to his Travis Scott-assisted record, "Whole Lotta Lovin," here.